Those stores have an audience. Readers visit daily to look for books to read. Readers of eBooks like the ease of paying for a book, and having it show up on their device or app without doing anything further. What is interesting is that while both of these are real issues, lots of people overcome them and go on to make tens of thousands of dollars. Nathan Barry refuses to sell on Amazon and has made a small fortune with his book called Authority. Barry's considerable success aside, you need to think things through carefully. Here is some helpful guidance to guide your planning. You keep a higher percentage of the sale. You can charge any price you like. You can offer bundles, i.e. print + eBook, for a discounted price. You control how your book is marketed (no competing offers or products). Readers can buy immediately without having to visit or register on another site. You can track where your customers are coming from. Readers may not know how to transfer the book to their reading app. You need a plan for customer service. There is no DRM (copy protection) for Kindle mobi files sold from your website. You can implement DRM for your EPUB files but it is an extra cost and you need special store software. You may need to collect sales tax depending on your local laws. This is something you need to research. It can be more work to setup than uploading your file(s) to the online stores. You cannibalize sales through your other stores. Fewer sales can mean lower rankings, which is a problem when selling in a store like Amazon's. You need an audience of buyers. Sales depend on how many people visit your website, or the number of people on your mailing list. Do you have one book, or many? Do you have items other than eBooks such as a print edition, merchandise or audio/music files? What is your expected sales volume? How important are merchandising tools such as vouchers, gifting or the ability to use payment methods other than PayPal? How do your needs match up with the pros and cons above? For example, if you insist on using DRM you cannot sell Kindle-compatible eBooks and you'll be limited in your choice of EPUB selling tools. How technical are you? Some options may require programming skills. Do you want your customers to have access to their purchases after the initial download? What kind of analytics are you looking for? Does the vendor have their own store where they will feature your eBook? Is there any integration with social media networks such as Facebook? Where is the company based? Since you are dealing with financial transactions you want to make sure you are protected. The list below is divided into what we consider relevant for indie or self-publishers vs. publishers looking for a robust solution to support dozens or hundreds of books. New companies and services are being launched all the time but these have been with us for a few years now. Gumroad. A simple, straightforward tool that is free and relatively easy to use. Ganxy. 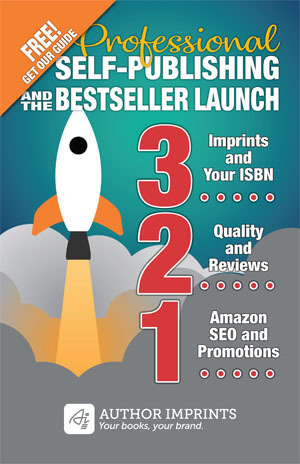 Lots of great features specific to eBook publishing. Also free. E-Junkie. A well-established vendor of e-commerce tools and capabilities. WordPress plugins such as WooCommerce. Not just for digital products, but physical products as well. EditionGuard. One of the few “simple” solutions for selling DRM-protected EPUB files. They also have a plugin for WordPress websites. MyCommerce. Offers three different levels of online store functionality. More relevant for large libraries or publishers with more sophisticated needs. Cyberwolf. Cyberwolf has expertise with Adobe Digital Editions and works with publishers interested in building their own stores. Note: this article originally appeared in April 2013 but has been updated significantly. Great article! Also, thanks for mentioning our service EditionGuard. You may be interested to know that we’ve also released free plugins for the Magento and Shopify eCommerce systems in addition to WordPress. There are plugins in the works for Drupal and Joomla as well. Thanks Turgay. Keep us posted on your service. Susan, for the benefit of others…there is no reason why you cannot open a mobi file using Kindle eReading software. Obviously you have to get it on the device using a process called sideloading. It is more cumbersome for buyers of your ebook but library patrons are used to doing this with epub books they check out from the library. Btw, you can also email the mobi file to someone if they have added your email to their pre-approved list of people who can do so. It isn’t as elegant as buying from Amazon but useful in certain situations. Hi,I have a question: Is it really allowed to sell mobi files (due to the propriety of this format) on your own website (self written books, of course)? At least, it’s forbidden top sell mobi files converted with Kindlegen/Kindle Previewer. But if you convert them with the mobiopocket creator of another freeware program …? Yes, you can sell mobi files from your website. One reason why some people don’t is because they cannot apply DRM to the file. Only Amazon can do that. Nice post! We are using Sellfy.com which is not listed in the article. I see it is based in Lithuania. Please share a link to your page where you have implemented it to sell your eBook(s) and I’ll have a look. Nice post, you can add http://www.Selz.com onto this list for authors wanting to sell direct. It easy to use on any site or blog and there is only a small fee per transaction. It has a WordPress plugin, Free Facebook Store App, and one click sharing on Facebook, Twitter and Pinterest. Great article with a lot of food for thought. I’m in the process of setting up my self-publishing business and am currently undecided about selling books via my website. E-books are one thing, but print books are a bigger beast because you’ve got to deal with shipping fees and supplies, returns, etc. And I’m concerned about getting involved with that because I feel my time is better spent writing. So my question is, if you’re offering both a print and electronic version of your book via the major outlets (Amazon, B&N, etc. ), do you think it looks unprofessional to only offer the ebook for sale via your website? I agree that it can get distracting. I spent several hours setting up my books only to abandon the effort after joining KDP Select (for a limited time). I think you need some good website traffic volume to make it worthwhile. You can always join the Associates program and get a small commission. But if you do decide to sell the ebook only I don’t think it looks bad in the least. Btw, I still have a box of empty book shipping envelopes in the garage waiting for orders. Thank you for this article!! I have been thinking about selling non-DRM epubs on my website (or at least not on BN, Kobo, and iBooks) for some time now and I’m glad to see all of these options. I’ve been gaining a small amount of readership overseas that don’t use these epub retailers and wanted a new option. So far, after reading your article and the comments, I like Ganxy and Sellz. I’ll be checking them both out! Best of luck. You might also check out paystr.com. Very good information. I ran across your site by chance (stumbleupon). The only tool you need is PayPal, which gives you buy buttons and even shopping carts. Needing a readership and mailing list is not a drawback… it’s a Prime Directive. If you want to sell downloadable files from your website, give MadBeeTech Web Hosting at http://www.madbeetech.com a try. I like it because it’s a complete system – site builder, shopping cart, and automated handling of delivering purchased files to the buyer. Once a visitor makes a purchase, he is automatically emailed a message with a link to instantly download the purchased file. And I automatically get emailed from PayPal saying the funds are in my PayPal account. I don’t have to do anything regarding sending out the purchased files. Best of all it’s only a few bucks per month. A very helpful article for the people like me. Thank you bro. Thanks for this post. Really helpful. I didn’t realise that there were so many options available! On the Aerio platform, it seems like you can only sell books in North America. Is this correct? Also, any thoughts on the benefits between using Aerio vs WooCommerce for selling ebook and paperback? The last I heard (earlier this year), Aer.io was US and Canada only. No specific thoughts because I don’t understand the situation, marketing and goals. Another I’d consider these days is BookFunnel.com. Good luck. THanks David! From what I understand, Bookfunnel is really helpful for diverse e-reading plaforms, but doesn’t allow you to sell a paperback version, if i’m not mistaken. Anyway, I’ve decided to go w woocommerce, since I’m on wordpress anyway. David, another related question: I use woocommerce. How do i sell my paperback book listed in ingramspark, without me holding stocks and doing the shipping myself? I can’t seem to find a solution to this after some searching. What I would like is for the customer to add paperback to cart, and the POD ingramspark will deliver to them. Or is there a workaround this, like a customer paying for the paperback, and i get the notification, and then I order and mail it to them from POD without me holding the stock? Sorry if this sounds like a simple question. Thank you for the valuable information. Some new authors often contact me because they want to sell their ebooks on my website. However, I am a bit confused because at this time I only share download links and I don’t have enough information on how to sell ebooks. But I start gaining information and your article is very helpful. Glad you found it helpful, Sarah.